Celebrating your first Christmas Engaged? Add our beautiful natural nautical ornament to your Christmas tree! 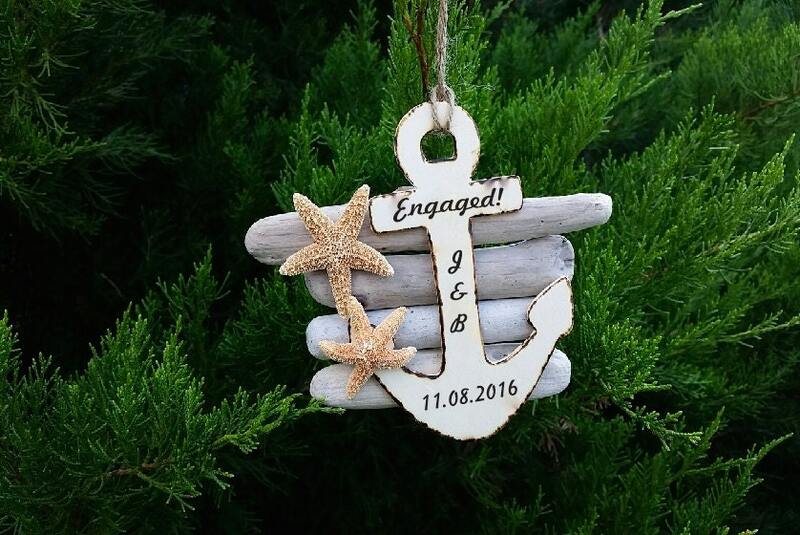 This drift wood, engraved wood anchor and starfish ornament will bring back memories of the ocean sounds in the background the drift wood and seashells on the sand as he asked and she said YES! Each ornament is hand made with burlap and starfish and a personalized anchor engraved by our laser machine.